When you’re looking for the best A/C and heating services in Hickory Creek, look no farther than Cote’s Mechanical. When you hire us for your HVAC needs, you’ll receive exceptional service for repairs, installations, maintenance, and more. From furnace repairs to central air conditioning installation and attic ventilation, our HVAC technicians have the knowledge, tools, equipment, and skills to handle all of your heating and cooling issues. No matter when you run into a serious problem with your HVAC system, we can be there to help. Our company is proud to offer 24/7 emergency services for repairs in the Hickory Creek area. You can also count on getting competitive rates and a free service call with repairs. Having licensed HVAC technicians at your side when you need unexpected repairs or when you need a new system installed offers you peace of mind. At Cote’s Mechanical, all of our technicians are properly licensed and have years of experience with A/C and heating unit installation and repair in Hickory Creek. Whether you need a new heating and cooling system installed or you need repairs for your HVAC equipment, our technicians can assist you. Cote’s Mechanical also provides other services for customers in the Hickory Creek area, including routine HVAC maintenance and HVAC replacement services. In addition, we offer insulation and attic ventilation services to boost your home’s efficiency and comfort levels. When you need heating and cooling services in Hickory Creek, get in touch with the pros at Cote’s Mechanical. At Cote’s Mechanical, we take great pride in being able to provide customers in Hickory Creek with high-quality, prompt, and courteous service. 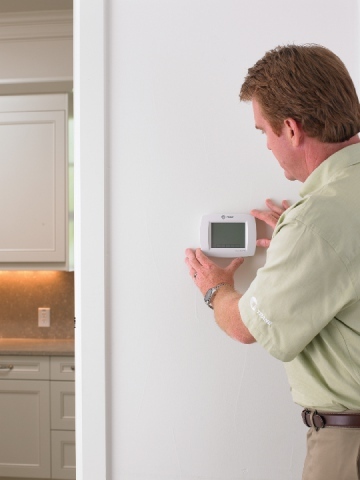 Our technicians know how valuable our customers’ time is and how important it is to have a comfortable home or business – especially during extremely hot days or cold nights. Since 2001, our company’s co-owners Cote and Kristi Wyatt have been ensuring that customers in Hickory Creek have a dependable team of technicians available around the clock. Thanks to these efforts, we have a high number of glowing online reviews from customers. These reviews have frequently mentioned how prompt our HVAC technicians are and how well they do their work. It’s not only our customers that recognize our high-quality service. Angie’s List has also noticed and gave us a Super Service Award. The Better Business Bureau has awarded us with an impressive A+ rating, and we have received accreditation from the Air Conditioning Contractors of America, or ACCA. We’re also proud to have certification as a Trane Comfort Specialist after working hard to meet Trane’s standards of quality for the services we provide our residential and commercial customers. Hickory Creek residents bring in an average income per household of about $94,000, which is considerably more than the U.S. and Texas average incomes per household of around $55,000. Those who buy a home here pay a high average price of $210,700. Around 4,000 people call the town of Hickory Creek home. The town offers easy access to Denton, which is just a 15-minute drive away via I-35E N. Dallas is about a 40-minute drive away via I-35E S, while Fort Worth is about a 45-minute drive away via TX-121 S.
Residents can find plenty of outdoor recreation opportunities right in town. Those who love camping can head to Hickory Creek Park, located on the shores of Lewisville Lake, which features both campsites with electrical and water hookups and primitive campsites. Sycamore Bend Park also offers camping, as well as boating, while Westlake Park features boat ramps, fishing, picnic tables, and more. When it’s time to eat, residents in Hickory Creek can head to Palio’s Pizza Cafe for casual dining in a friendly atmosphere. Hickory Creek residents who wish to volunteer will find plenty of opportunities available. Some of these include Adopt-A-Street, the Planning and Zoning Board, the Board of Adjustments, Helping Hands, and Citizens on Patrol. 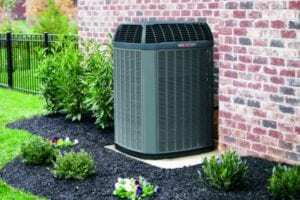 Need HVAC service in Hickory Creek that you can depend on? Give the experts at Cote’s Mechanical a call today to schedule your next installation or request repair services. We can also provide you with maintenance services to keep your heating and cooling system in good condition. Call us today to learn more. Replaced run capacitor on Carrier air conditioner. Unit back up and cooling. Replaced capacitor on Trane XL15i. System back up and cooling. Adjusting the thermostat’s programming for a 98 Honeywell thermostat.